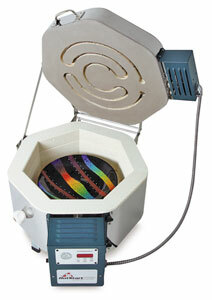 HotStart Pro is the perfect starter kiln. However, it includes programming features that the beginner as well as the advanced artist can appreciate. It features customizable ramp and hold programming. For a limited time, order a HotStart Pro and receive a FREE sample pack of glass from Spectrum, CBS, and Uroboros. This offer is valid while supplies last.